Chiung Yao is Taiwan’s most famous writer of love stories. She is also a playwright and lyricist. Chiung Yao was drawn to literature at an early age, and her maiden work debuted in Shanghai when she was only nine. By sixteen she had already published over 200 articles, one of which, ‘Outside the Window’ (Chuangwai), established her fame. When she was barely twenty, Qiong accomplished her first novel, titled Many Enchanting Nights (Jidu xiyang hong), set during the Anti-Japanese War. Chiung Yao took up writing as a career after she failed her college entrance examinations. She finished a 200,000-word novel every four or five months. All her novels, over forty in all, were published by Crown, her husband’s printing house. They include Romance in the Rain (Yanyu mengmeng), Misty Moon (Yue menglong, niao menglong) and My Heart in a Million Knots (Xin you qian qian jie). Chiung Yao’s love stories have enjoyed wide readership, and were especially popular among young readers in the 1960s and 1970s in Taiwan and in the 1980s in China. There, Chiung Yao’s popularity continued even into the late 1990s due to the adaptation of her novels as TV series. Princess Pearl (Huanzhu gege) was particularly successful. It is a representation of life inside and outside a royal compound revolving around the story of two pairs of young lovers. Qiong’s depiction of the princess Little Sparrow, however, triggered controversy as many critics were appalled at the misguided valorization of an ‘uncouth ruffian’ as the courageous and righteous heroine. Both her father and mother received a good education. She was born in Chengdu, the capital ofSichuan province. 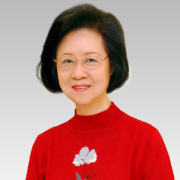 In 1949, along with her family, she moved to Taiwan, where she attended Taipei Municipal Zhong Shan Girls High School . At the age of 16, she published her first novel. During high school she had published over 200 articles. After graduation from high school and failure to enter college, she got married and became a housewife, and at the same time started her writing career. Her first novel, still often read today, isChuangwai ("Outside the Window"). 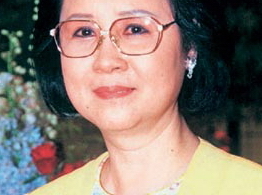 Chiung Yao's romance novels were very well received in Taiwan when they were first published, and by the 1990s she was also one of the best-selling authors on the mainland. Her novels feature women who would go through years of intense psychological suffering for the sake of love, with male leads who are often weaker than the female protagonists. Oftentimes the novels are set in the early Republican era, when family dictums were feudalistic and chauvinistic. Princess Pearl is the first of her many novels which ended happily for her female protagonists. However her romance novels have also been criticized for their melodramatic plotlines and extremely longwinded dialogues . The absolute love is the most fascinating part of Chiung-Yao’s novels. There are as least two main characters who love each other absolutely without the vague and gray zone in love. I ever heard a joke which described Chiung-Yao’s novels in one sentence which is “She loves him and he loves her.” Unlike other novels, main characters, in the pen of Chiung-Yao, would not doubt their affection toward each other. However, there comes an obvious question that if there is no discredit in the novel, why people would twist their hearts after reading the novels. To create climaxes, Chiung-Yao does not resort to the inner emotions of characters’ affections; instead, she puts the obstacles into outer environment. For example, her first novel is about a story between a student and a Chinese teacher who is considered to carry the responsibility of express morality traditionally. In the end of this novel, they are forced to depart because of the pressure from public opinions. Though they can not be together, their love, which few people may dare to declare, is still innocent and noble. Let’s take another instance. Huan-Chu Princess, published in accompanying with series in 2003, is popular from Mainland China to southern-east Asia. One of the impressive characters is the evil queen who tries her best to torture main characters by cruel ways, like using a needle to pierce into their nails and pouring salt water on their wounds. The image of outer oppression of the queen is a contrast to main characters’ absolute love. From above example, the absolute love encourages people’s desire for innocent and comforts readers that all the obstacles come from outer society instead of their own responsibilities. The other element in Chiung-Yao’s novel is the relationship in family. Main characters pursue their true love and the love from family at the same time. They are often alien to their own family and desire for the care of parents. In Huan-Chu Princess, the main character travels over mountains and valleys to find her father, besides, Chiung-Yao used to describe the harmony of family which character can not own. Because of the lack of family, characters will find another harbor for them to shelter, that is, love. In this way, the writer successfully combines the two elements into coherence. For example, in “How Many Times Does the Twilight Redden,” the writer links up youth’s love with their parents’ early affairs. By revealing the struggles between family and true love, the contents arouse the imagination of being suffered. The two main elements can reflect how people look forward to their life, one to love and one to their family. The next time we read her novels; we can perceive them in another way rather than view them as romantic cliché. Lang, Miriam (2003). ‘Taiwanese Romance: San Mao and Chiung Yao. In Joshua Mostow (ed.) and Kirk Denton (ed. China Section), Columbia Companion to Modern East Asian Literatures. New York: Columbia University Press, 515–19. HU MINGRONGBaensch, Robert E. (2003). The Publishing Industry in China. New Brunswick: Transaction Publishers. Feldman, Gayle (1986). ‘The Organization of Publishing in China’. Lynch, Daniel (1999). After the Propaganda State. Stanford: Stanford University Press. Neder, Christina (1999). Lesen in der VR China [Reading in the People’s Republic of China]. Hamburg: Institut für Asienkunde. Nielsen, Inge (2000). ‘Modern Chinese literature Sells Out’. Tamkang Review 30.3 (Spring):89–110. Hartford, Kathleen (2000). ‘Cyberspace with Chinese Characteristics’. Current History (September): 255–62. Harwit, Eric and Clark, Duncan (2001). ‘Shaping the Internet in China: Evolution of Political Control over Network Infrastructure and Content’. Asian Survey 41.3:377–408.